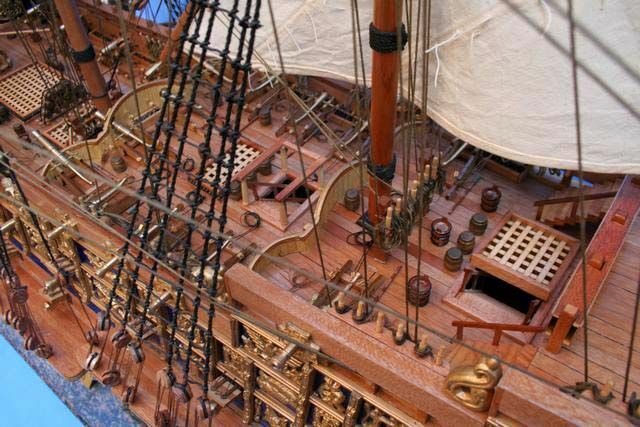 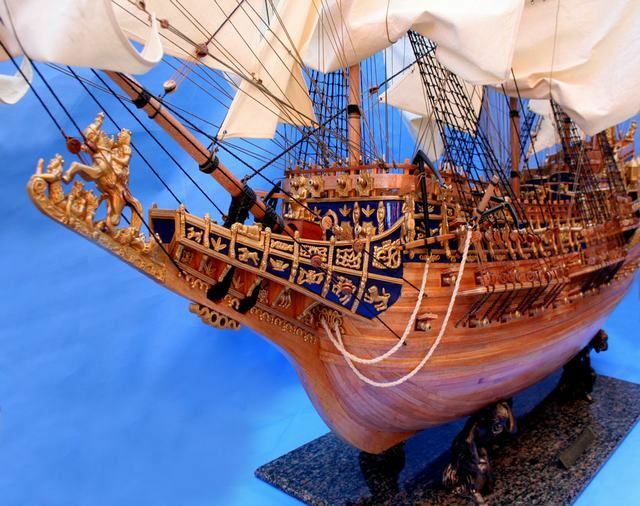 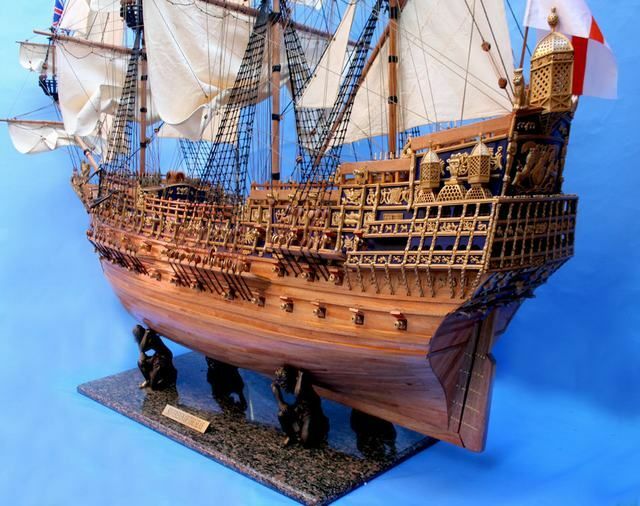 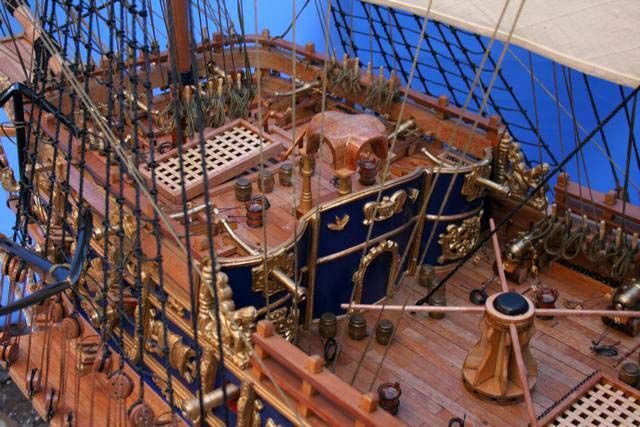 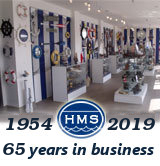 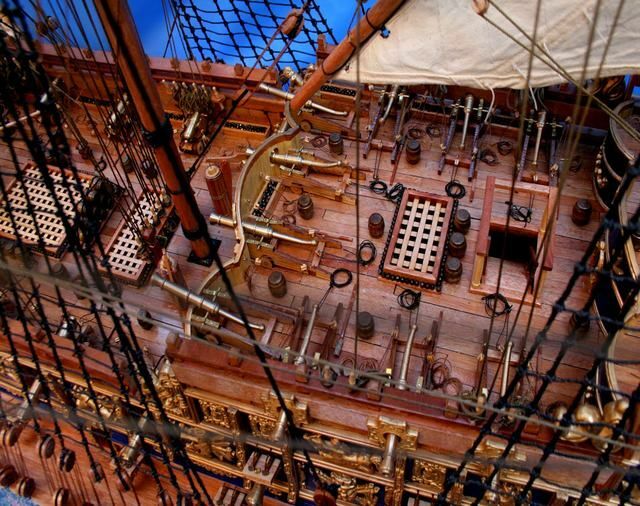 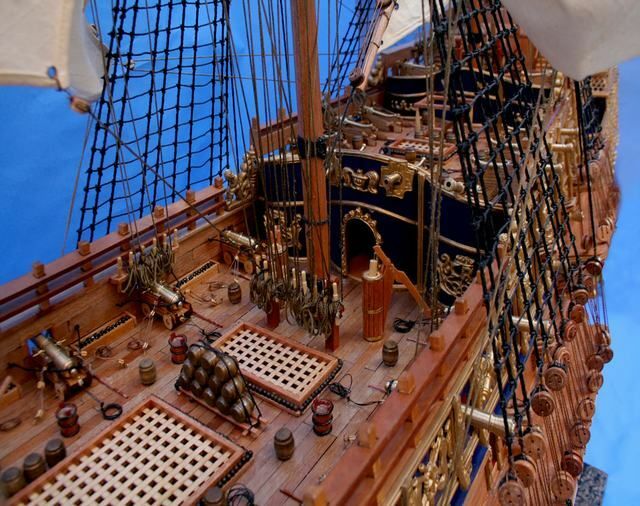 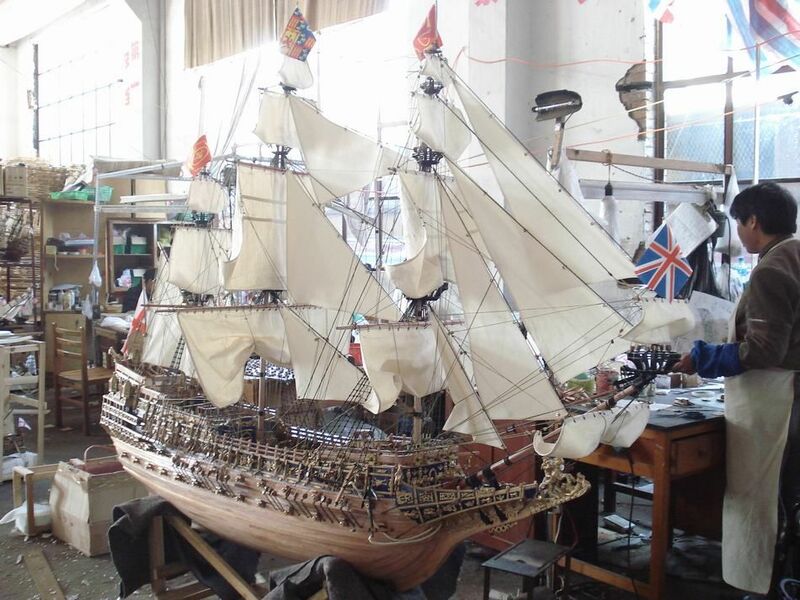 Historically accurate, featureing bedeck, this museum-quality One of a Kind Masterpiece scale replica tall ship model of the Sovereign of the Seas is built with the finest craftsmanship and attention to detail for Over 12 Years. 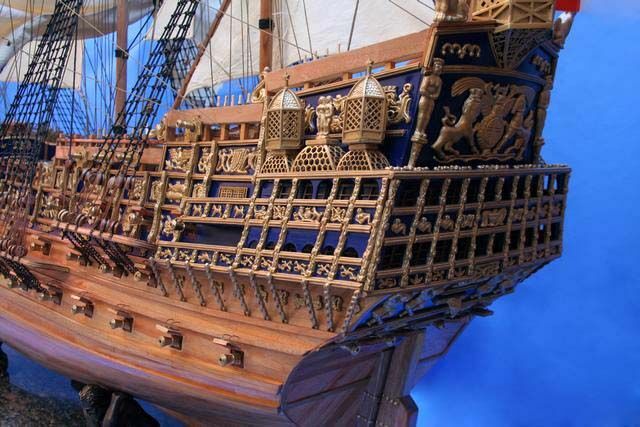 As the crown jewel and grandest warship in the fleet of England’s King Charles I, this fighting tall ship of the line occupies a distinguished place in British naval history. 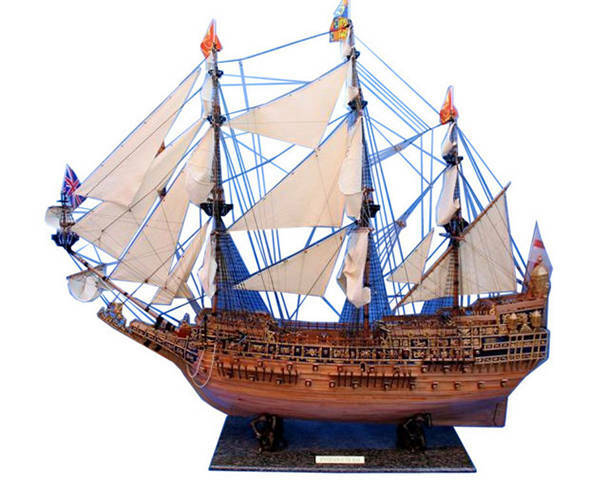 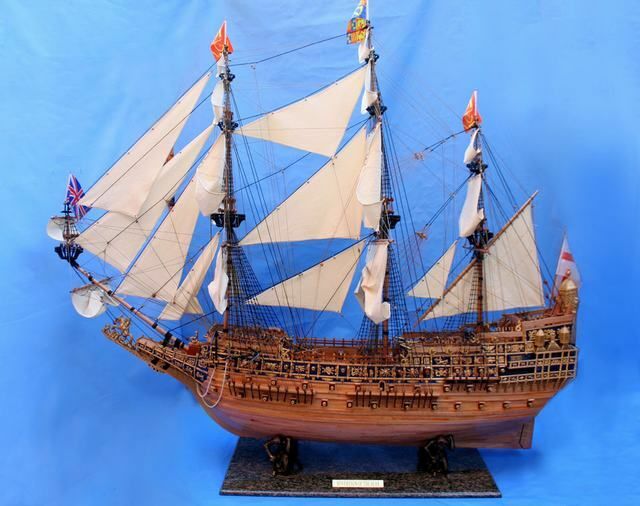 Now her One of a Kind tall ship model may similarly occupy a proud position in your office, home or meeting room from which to display her exquisite beauty.